This is the best ever mint chocolate lasagna recipe no bake dessert. It’s so easy because you don’t have to bake it and you don’t have to wait to eat it. I’m assuming you love mint and chocolate together. Guess what? I don’t. Not my favorite. 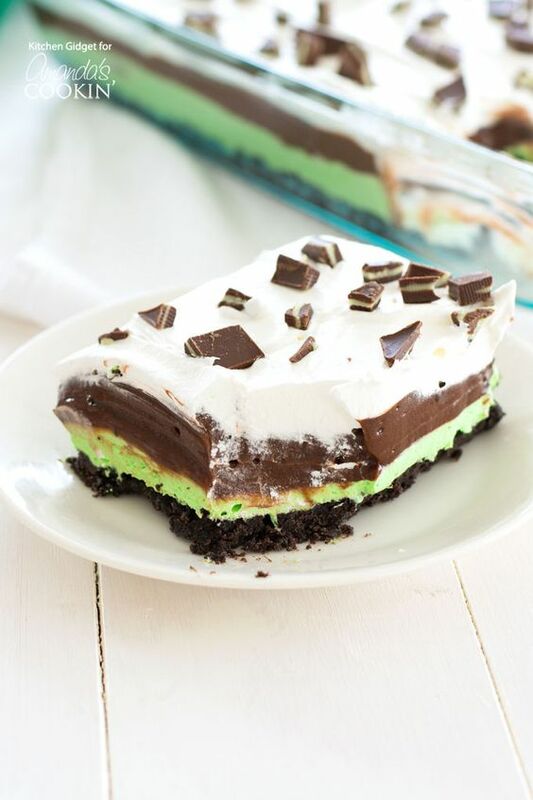 But most of my children LOVE mint chocolate desserts and beg for it all the time, so I came up with this easy chocolate lasagna recipe no bake dessert that’s so easy my 11 year old daughter can make it. This is a really good dessert for family parties because it’s so easy to make and looks fancy and tastes great (if you like mint and chocolate chip). Prepare chocolate pudding according to directions on the box. Set aside in the fridge until ready to use. 0 Response to "Best Mint Chocolate Lasagna Recipe No Bake Dessert"